Kenny thinks back on his life during his last moments with Levi. Historia is crowned queen. Wow, the anime adaptation zoomed through a lot of Kenny's backstory. It's clear that he was going to be the vehicle to explore the underbelly of the Walls. Literally. The slums and criminal class were all underground, and there appeared to be social rules about who was allowed to walk above ground. Tied in with all this is Kenny's relationship with the prior King Uri. It makes sense to see how the shadow government and religion are related to things unseen in the slum, and having the king befriend a serial killer is a really good metaphor and narrative device. But not for TV when we want to see combat against big monsters. The most important thing did make it into the episode, though. Kenny wondered if having the power of the Titans gave Uri a broader perspective to preach patience and other virtues. At the end, he came to the conclusion that King Uri also needed his power as a distraction, like others used women, drink, religion, crime, or civic duty, from being imprisoned behind the Walls. Uri wanted to be free too, but the past memories of the other rulers caged him as much as the Wall did his subjects. Someone sent Kenny to assassinate Uri? The Walled Kingdom has been under pressure for a long time. Confirmed - Levi is Kenny's nephew, the son of a prostitute. Kenny took care of Levi just long enough so he could survive in the slums under his own skills and cunning. There must be a story of how "Just Levi" became Erwin's friend and most trusted colleague. Kenny's friendship with Uri stopped the Ackermann persecution, but there were still years of old attitudes, which explained the Ackermann and Oriental clan ghettos. Uri saw the kingdom's power structure was unsustainable, but he wasn't going to be the one to "build paradise" behind the walls. The council created the Anti-Personnel Squad under Kenny to balance the military's growing influence after the Walls were breached and the Founding Titan's power was lost. Kenny really liked Caven's resigned attitude. Things are messed up everywhere, so let's mess things up ourselves! And we're caught up and Kenny isn't going to turn himself into a dumb Titan. Ah. He finally revealed that "Just Levi" and "Just Kenny" are nephew and uncle. Levi's expressionless face actually expressed a lot with that look. Kenny doesn't know why the King doesn't want humanity to survive, but he knows the Ackermanns opposed Him for that reason. And Kenny died. 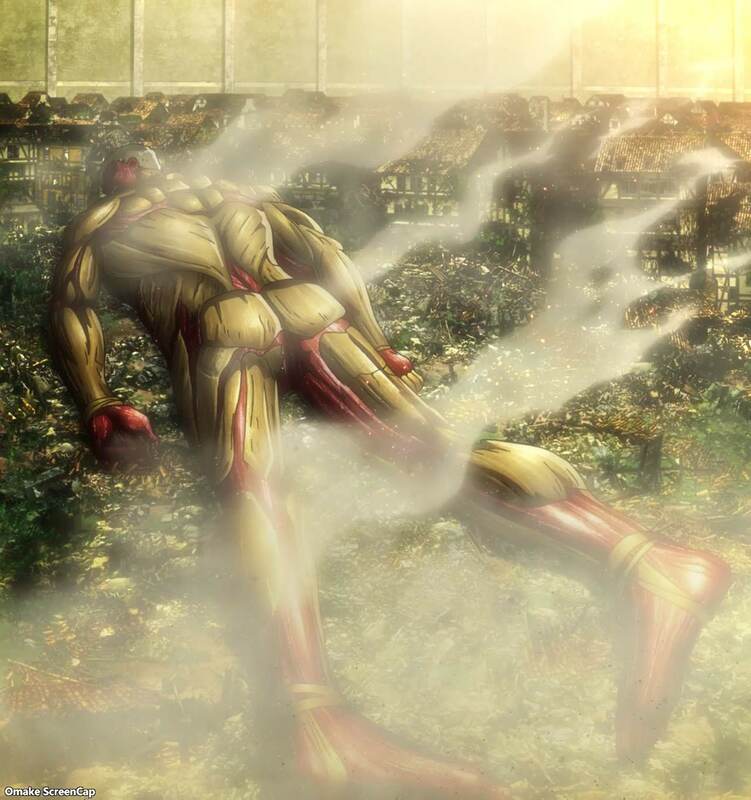 Levi has some Titan serum. 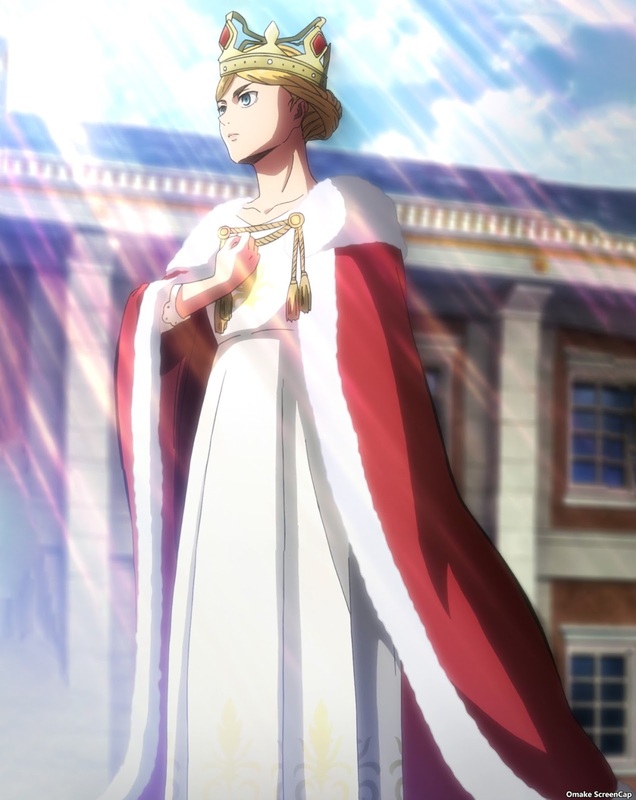 Long live Queen Historia! 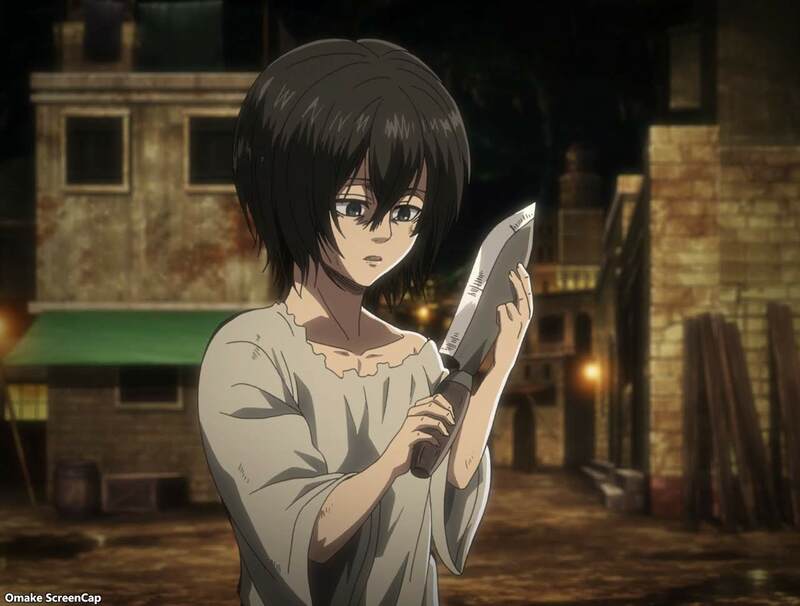 But first, she's going to smack Levi. This is hilarious. Look at Mikasa's smug face. Aw. "Just Levi" found his true family after all. First time he ever smiled! And we're back to the monster show. Reiner and Bertholdt aren't doing so hot against the Beast Titan. The mission remains the same - acquire The Coordinate. Interesting how both Titan factions call the Founding Titan's power the same thing. 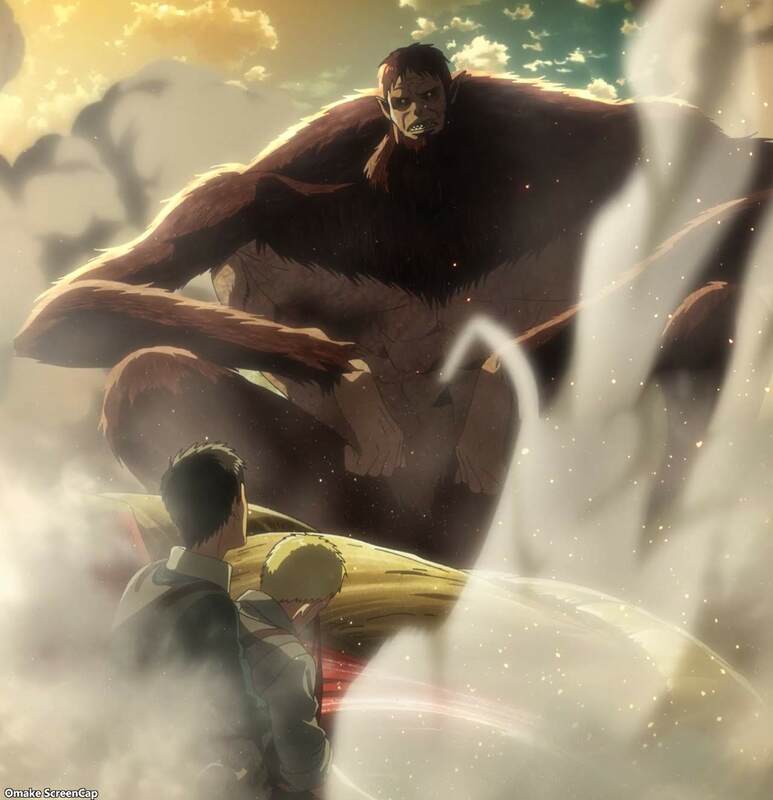 Now that we know the Beast Titan isn't Grisha Jaeger, can we speculate that he's actually Erwin's father? Next time, we might get some answers on what Grisha was doing before the Wall Breach.